Join Alexis for this fascinating episode of Conscious Inquiry Radio with her special guest Dr. Larry Dossey as they discuss the idea of the One Mind and how we are all “hard-wired” to it! 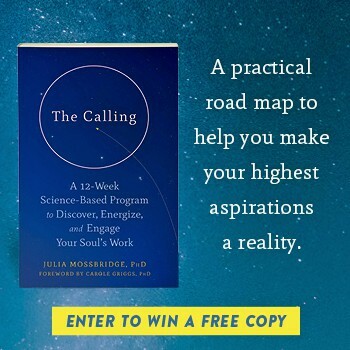 After having a series of personal experiences that prompted an exploration into the true nature of reality and of ourselves, esteemed physician, author and researcher Dr. Larry Dossey went on a quest to discover what he has now termed, the One Mind. He is convinced that we are all part of this continuum of consciousness – hard wired to it in fact – and that gives all of us access to this infinite reservoir of knowledge. Further, Dossey maintains that much of our own individual experience, including ESP, precognition and synchronicity may be indicative of this one mind. This is all interesting information, but what’s more, it is his firm conviction that our survival may be dependent on our first understanding this concept and then living by it. In his groundbreaking book, One Mind – How Our Individual Mind Is Part of a Greater Consciousness and Why It Matters, he brings stunning new light to the idea that we are All One! This interview, recorded on February 18th happened two years to the day of the memorial service for Whitney Houston. Synchronistically, our conversation includes a reference to her passing. The subject of our discussion was so fascinating to me, I found myself saying “profound” a little too much! Please forgive the repetition, but take a listen and you’ll see why I couldn’t help myself. The One Mind concept is truly nothing short of – you guessed it…Profound! Listen to this episode on demand! Dr. Larry Dossey is a distinguished Texas physician, deeply rooted in the scientific world. He has become an internationally influential advocate of the role of the mind in health and the role of spirituality in healthcare. Bringing the experience of a practicing internist and the soul of a poet to the discourse, Dr. Larry Dossey offers panoramic insight into the nature and the future of medicine. Upon graduating with honors from the University of Texas at Austin, Dr. Dossey worked as a pharmacist while earning his M.D. degree from Southwestern Medical School in Dallas, 1967. Before completing his residency in internal medicine, he served as a battalion surgeon in Vietnam, where he was decorated for valor. Dr. Dossey helped establish the Dallas Diagnostic Association, the largest group of internal medicine practitioners in that city, and was Chief of Staff of Medical City Dallas Hospital in 1982. An education steeped in traditional Western medicine did not prepare Dr. Dossey for patients who were blessed with “miracle cures,” remissions that clinical medicine could not explain. The author of twelve books and numerous articles, Dr. Dossey is the former Executive Editor of the peer-reviewed journal Alternative Therapies in Health and Medicine, the most widely subscribed-to journal in its field. He is currently Executive Editor of the peerreviewed journal Explore: The Journal of Science and Healing. His colleagues in medical schools and hospitals all over the country trust him, honor his message, and continually invite him to share his insights with them. He has lectured all over the world, including major medical schools and hospitals in the United States –Harvard, Johns Hopkins, Cornell, the Universities of Pennsylvania, California, Washington, Texas, Florida, Minnesota, and the Mayo Clinic. The impact of Dr. Dossey’s work has been remarkable. Before his book Healing Words was published in 1993, only three U.S. medical schools had courses devoted to exploring the role of religious practice and prayer in health; currently, nearly 80 medical schools have instituted such courses, many of which utilize Dr. Dossey’s works as textbooks. In his 1989 book Recovering the Soul, he introduced the concept of “nonlocal mind” — mind unconfined to the brain and body, mind spread infinitely throughout space and time. Since then, “nonlocal mind” has been adopted by many leading scientists as an emerging image of consciousness. Dr. Dossey’s ever-deepening explication of nonlocal mind provides a legitimate foundation for the merging of spirit and medicine. The ramifications of such a union are radical and call for no less than the reinvention of medicine. In 2013, Larry Dossey received the prestigious Visionary Award by the Integrative Healthcare Symposium, that honors a pioneer whose visionary ideas have shaped integrative healthcare and the medical profession. Dr. Dossey lives in Santa Fe, NM, with his wife Barbara, a nurse educator and author of several award-winning books. Be sure to tune in to Conscious Inquiry Radio every 2nd and 4th Wednesday of the month, FREE and on-demand!